Municipal sewer systems give an advantage to those who are looking to manage their wastewater by installing septic tanks on their property. Septic tanks are destined to last for years on end without fail, but occasionally they may function abnormally. When septic tanks malfunction, they pose great hazardous health risks to humans. They may overflow and mix with water systems causing several illnesses among others. 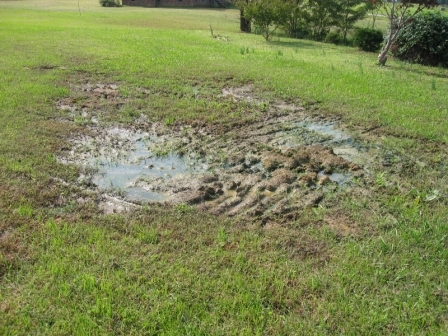 In this post, we will discuss some of the steps that may help avoid septic tank failures. Septic tank pumping is important to avoid overflow and malfunction of the tank where the solid wastes are carried into the absorption chamber. Inspectors check for scum and sludge layers on the tank walls. The amount of scum and sled depends on the usage of the tank and how the functioning system was installed. Smaller systems require frequent pumping though installation is done in considering the property size. Materials passing through septic tanks are both biodegradable and nonbiodegradable solids which settle at the bottom of the tank. After several years, the sludge accumulates and rises which may lead to malfunctions. Septic tank maintenance is important to be carried out every 3 to 5 years to prevent overflow. Inspectors pump out the sludge using vacuum tanks, to avoid damage to pipes. Broken pipes prevent proper drainage and can also lead to overflow. Bacteria in septic tanks help in the breakdown of waste products making it possible for drainage to occur without clogging. Septic tank cleaning is done using products that are harmful and toxic to humans. Bleach and disinfectants might kill and destroy some of these helpful bacteria in the septic tank. When the solid waste materials are not broken down properly, they fill up and saturate the water making drainage difficult for the septic system. Malfunctions may lead to the unprocessed human waste mixing with the drinking water system, risking the lives of the residents. The size and design of the septic tank are not important to the average number of times in which one should maintain their septic tanks because during installation the contractors use the size of the property and the number of residents. Caring for the septic system prevents hazardous situations caused by clogged pipes and drainage problems which in turn risk your health. Maintenance of septic tanks also helps save finances, this is by regular cleanings which are less expensive and cost efficient when compared to full replacements of the septic tanks.